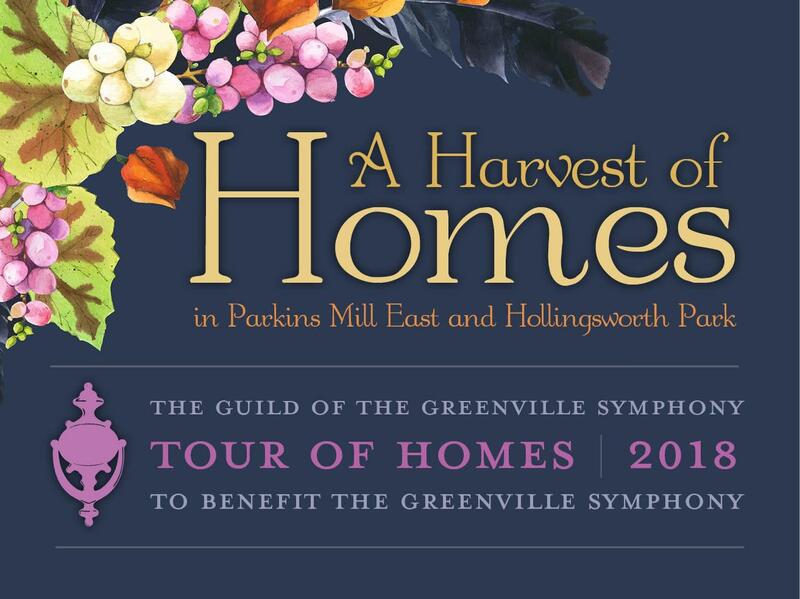 The 40th annual Symphony Tour of Homes will be held October 5-7 in the premier neighborhoods of Parkins Mill East and Hollingsworth Park. Five outstanding homes will be featured. Parkins Mill East is a neighborhood of large lots and classic designs that create a quiet, stately ambience. Hollingsworth Park is a newer development of custom homes that has been thoughtfully planned to evoke a village-like atmosphere, with common green spaces and multiple pocket parks. To launch the Tour, an elegant Patron Party honoring the homeowners and Tour Sponsors will be held on Tuesday October 2, from 7:00 PM -9:00 PM in an exquisite home on Babbs Hollow. This special evening will feature delicious food, great wine and live music and will provide a festive prelude to the weekend events. Advance ticket purchase is required. Tickets are $75 each and include a Tour ticket. The Guild looks forward to seeing everyone at the party. Additional information including ticket outlet locations, will be provided in the coming weeks. Ticket prices are $25 in advance and $30 on Tour days. All proceeds benefit the Greenville Symphony Orchestra.